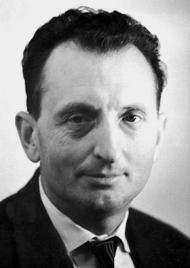 Alexander Mikhaylovich Prokhorov was a Soviet physicist and a Nobel Prize winner. Alexander Mikhaylovich Prokhorov (11 July 1916 – 8 January 2002) was a Soviet physicist known for his pioneering research on lasers and masers for which he shared the Nobel Prize in Physics in 1964 with Charles Hard Townes and Nikolay Basov. Prokhorov was born in 1916 in Atherton, Queensland, to a family of Russian revolutionaries who emigrated from Russia to escape repression by the tsarist government. In 1923, after the October Revolution, they returned to Russia. In 1934, Prokhorov entered the Saint Petersburg State University to study physics. He graduated with honors in 1939 and moved to Moscow to work at the Lebedev Physical Institute, in the oscillations laboratory headed by academician N. D. Papaleksi. His research there was devoted to propagation of radio waves in the ionosphere. At the onset of World War II in the Soviet Union, in June 1941, he joined the Red Army. During World War II, Prokhorov fought in the infantry, was wounded twice in battles, and was awarded three medals, including the Medal For Courage in 1946. He was demobilized in 1944 and returned to the Lebedev Institute where in 1946 defended his Ph.D. thesis on "Theory of Stabilization of Frequency of a Tube Oscillator in the Theory of a Small Parameter". In 1955, Prokhorov started his research in the field of electron paramagnetic resonance (EPR). He focused on relaxation times of ions of the iron group elements in a lattice of aluminium oxide, but also investigated other, "non-optical", topics, such as magnetic phase transitions in DPPH. In 1957, while studying ruby, a chromium-doped variation of aluminium oxide, he came upon the idea of using this material as an active medium of a laser. As a new type of laser resonator, he proposed, in 1958, an "open type" cavity design, which is widely used today. In 1963, together with A. S. Selivanenko, he suggested a laser using two-quantum transitions. For his pioneering work on lasers and masers, in 1964, he received the Nobel Prize in Physics shared with Nikolay Basov and Charles Hard Townes. In 1959, Prokhorov became a professor at Moscow State University – the most prestigious university in the Soviet Union; the same year, he was awarded the Lenin Prize. In 1960, he became a member of the Russian Academy of Sciences and elected Academician in 1966. In 1967, he was awarded his first Order of Lenin (he received five of them during life, in 1967, 1969, 1975, 1981 and 1986). In 1968, he became vice-director of the Lebedev Institute and in 1971 took the position of Head of Laboratory of another prestigious Soviet institution, the Moscow Institute of Physics and Technology. In the same year, he was elected a member of the American Academy of Arts and Sciences. Between 1982 and 1998, Prokhorov served as acting director of the General Physics Institute of the Russian Academy of Sciences, and after 1998 as honorary director. After his death in 2002, the institute was renamed the A. M. Prokhorov General Physics Institute of the Russian Academy of Sciences. In 1969, Prokhorov became a Hero of Socialist Labour, the highest degree of distinction in the Soviet Union for achievements in national economy and culture. He received the second such award in 1986. Starting in 1969, he was the chief editor of the Great Soviet Encyclopedia. He was awarded the Frederic Ives Medal, the highest distinction of the Optical Society of America (OSA), in 2000 and became an Honorary OSA Member in 2001. The same year, he was awarded the Demidov Prize. Prokhorov became member of the Communist Party in 1950. In 1983, together with three other academicians – Andrey Tychonoff, Anatoly Dorodnitsyn and Georgy Skryabin – he signed the famous open letter denouncing Andrey Sakharov's article in the Foreign Affairs. Both of Prokhorov's parents died during World War II. Prokhorov married geographer Galina Shelepina in 1941, and they had a son, Kiril, born in 1945. Following his father, Kiril Prokhorov became a physicist in the field of optics and is currently leading a laser-related laboratory at the A. M. Prokhorov General Physics Institute.